Individual routes do not need to serve all market needs. Rather, routes should be designed to serve a specific purpose within the network. Combined, the network should provide service between all major destinations and densely populated areas throughout the day. The transit network includes integration of other public transportation services within Los Angeles County, as well as with other modes, such as bikes, carpool/vanpool, car share, and private shuttles that provide first and last mile transportation to better access the transit network. In developing an integrated network, it is essential that the system is seamless to use from a customer’s perspective. The need to create a simple and convenient system that minimizes transfer penalties is critical. An integrated regional network should emphasize high frequency service, timed transfers on less frequent services, and shared stops for ease of transfers. Trip information, wayfinding, and an integrated fare structure also are important elements of a customer-focused transit network. Although Metro bus service levels have remained fairly stagnant for the last two decades, bus seat capacity in the region has increased 31 percent and revenue service hours have increased 42 percent, if the significant growth in municipal bus operations is included. With the addition of Metro Rail, seat capacity increased 45 percent and revenue service hours increased 50 percent. Given the significant growth in municipal and local return operators as well as Metro Rail, improved coordination between all operators and modes is vital to establishing an integrated regional transit network. Metro serves as a regional coordinator of transit services. In addition, Metro operates within a hierarchy of services, in which Metrolink provides the region’s commuter rail to serve high volume intra-county trips. Metro Rail and Metro Liner (Orange Line and Silver Line) serve as the backbone of the urban transit network, which is augmented by local, limited stop, and rapid bus service on key corridors operated by Metro along with municipal operators. LADOT and local return operators complement the system with community and shuttle buses that serve specific neighborhood needs. From a patron and operator point of view, operating overlapping services may be costly, confusing and unproductive. 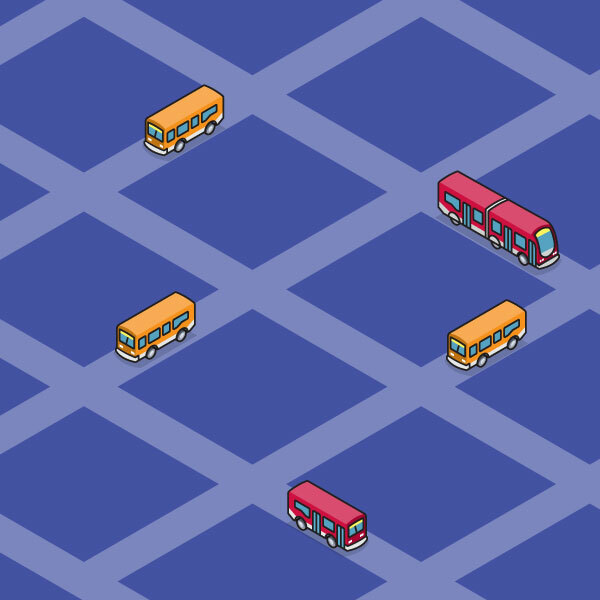 Through better service coordination, duplication between Metro and municipal bus services, as well as between bus and rail service, can be reduced. In addition, this concept will result in a more intuitive and simple to use transit network. Finally, opportunities to share stops also will help reduce confusion. Timely, relevant, accurate and readily-available trip information is necessary to minimize a rider’s confusion about using transit service. Patrons should always be kept informed about the status of their trip. Real-time information is useful for reassuring passengers when the next transit vehicle will arrive, or if there has been a service disruption and how long is the expected delay time. It should provide them with options, such as whether to continue their wait time for the next transit vehicle, or take another mode of transit to complete their trip. An intuitive, or easy to understand and use, transit system relies on simple network and route design. Consolidating services on the same or parallel corridors within a quarter-mile to a half-mile distance apart provides an opportunity to simplify the network for ease of use and reduce unused capacity. This concept requires better coordination of schedules and transfer points, and will result in an easier to use and more convenient system, while reducing wait time and overall travel time. These enhancements to service quality are expected to help increase ridership and revenue at no additional cost. Furthermore, consistent headways that are predictable for patrons also help to reduce the unknown about next bus arrival times. Consistent headways should be a priority for lines that operate headways of less than 15 minutes. When it comes to key service quality attributes, reliability should be given highest priority. Reliability can be impacted by poor schedule adherence, vehicle breakdowns, and missed trips. Therefore, controlling service reliability requires a coordinated effort between establishing reasonable running times and schedules, maintenance and management of vehicles, and operator availability and performance. Service levels are scheduled to meet passenger levels. Late or missed trips result in capacity issues and eventually pass-ups. Therefore, it is essential that service is on time and reliable to avoid the misperception that service levels are inadequate to meet demand. Passengers generally maintain a level of confidence that transit service should depart a stop or station and arrive at a destination as stated on the timetable. However, instances of poor reliability that could cause passengers to arrive late to work or school, miss medical appointments or critical transit connections would result in an overall lack of confidence in the system. Furthermore, poor reliability would create unnecessary travel delays and greater concerns about safety and comfort due to longer waits at the stops and stations. For high frequency service with headways of every 15 minutes or better, schedules should be written to allow operators to be on time without excessive running time that can slow the service substantially and result in additional operating cost. Passengers missing a trip on high frequency services can be comforted knowing that another bus or train will be available within a reasonable wait time, minimizing the consequences of reliability. For low frequency service with headways of every 20 to 60 minutes, reliability becomes even more critical. Missing trips on low frequency service increases the consequences to the passenger given the significant travel delays and wait times. Therefore, special attention should be placed on ensuring low frequency services are designed and operated to the greatest reliability. Increasing the speed of transit service improves the competitiveness of transit with other modes, such as automobiles. In addition, faster service requires fewer resources to operate and thus reduces operating cost. Several factors cause a reduction of speed along a route, including turns, particularly left turns, an increased number of stops, traffic-congested corridors, and long dwell times at stops and stations. While the advantages to increase bus system speed include attracting new riders and reducing operating cost, the disadvantage is reduced access to the transit network due to the streamlining of routes and limiting the number of stops. Therefore, adjustments to a route that results in slower speeds are warranted when the ridership benefit outweighs the negative impacts to speed. Passenger capacity, the amount of seats and standing room onboard a vehicle, is an important consideration when designing transit service. The utilization of vehicle capacity should be maximized to make the most use of resources. However, capacity should not exceed a threshold that deters ridership due to uncomfortably crowded conditions or excessive stop and station dwell times from blocked passageways on board. Other considerations that may influence design capacity include the duration that passengers must stand based on passenger turnover along the line and operating conditions, such as on a freeway route in which standees should be minimized. Capacity thresholds are expressed as a load factor indicating the ratio of available capacity to seats. This indicator is used to determine how many trips must be scheduled for each direction of travel during specified time periods. Perceptions of safety and security, as well as actual conditions, enter into a customer’s mode choice decisions. Safety includes the potential for being involved in a crash, slips and falls, or other elements such as aggressive passengers or poor passenger conduct. Security covers both real and potential incidents of crime that may contribute to a passenger’s unease, even if the actual risk is minimal or non-existent. Measures must be taken to alleviate a passenger’s unease both at stops and onboard transit vehicles. Whenever possible, stops should be located at well-lit areas with ample sidewalk space for ADA compliance and queuing for buses. Other measures to enhance security at stops and onboard transit vehicles include police officers in uniformed and plainclothes who ride transit, two-way radios, silent alarms for emergency communications, and surveillance cameras at stops and on-board transit vehicles. Clean and well-maintained transit stops, stations, and vehicles improve the general public’s perception of Metro and their desire to take transit as a viable mode of travel that is comfortable, convenient and of high quality. Many elements make transit more comfortable for passengers, including climate-controlled vehicles, seat comfort, courteous operators, and ride comfort.